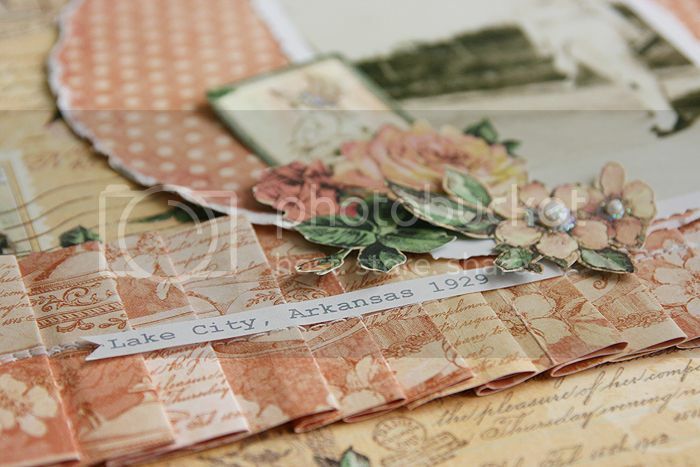 I went with a vintage shabby design on this layout I made for Scrapbook Daisies. I think it looks perfect with this photo of my Grandma back in 1929! I did a little fussy cutting, tearing, folding and of course a little bit of machine stitching too. My Grandma was so good about writing the who-what-why-when on the back of pictures, it's almost like she knew that one day I would need all that information as I scrapbooked each particular photo ;) This one has quite a story to it, so I'll be adding that to the back of the layout. I love this, it's so soft and feminine. Old photos fascinate me, I'm especially intrigued by the handwriting! Mary Ann - I always LOVE your heritage layouts! This is no exception! Wonderful! Beautiful Mary Ann!! 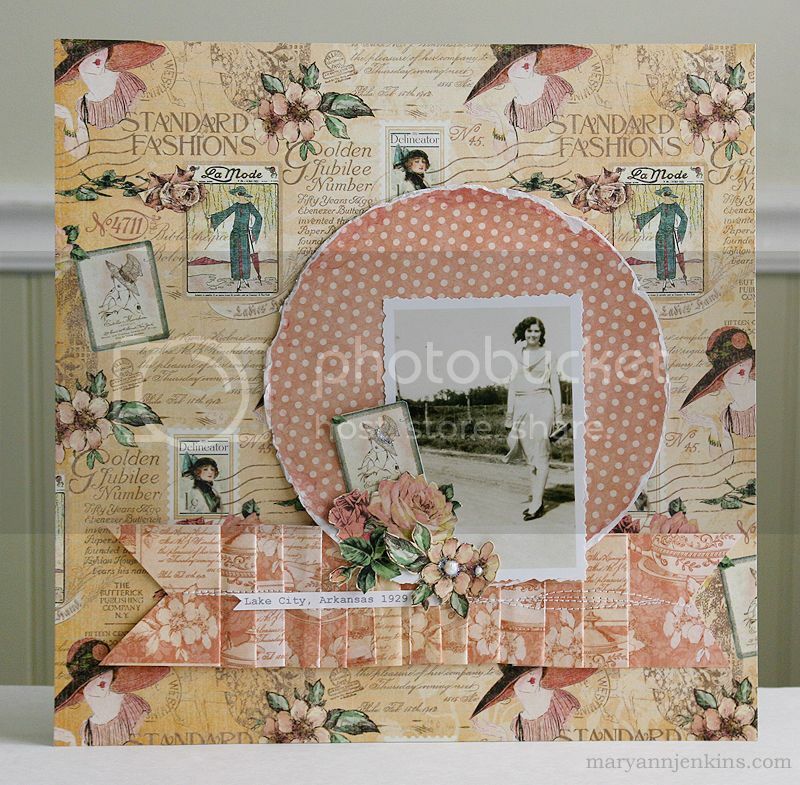 The vintage look is perfect with your photo and I love the pleated paper you added across your page! Beautiful layout! I love it! Just a beautiful heritage page. Laahooove this line from Graphic 45!!! What a beautiful heritage page!!!! Seriously beautiful Mary Ann!